OSHA’s “Top 10” list is nothing to brag about and it is certainly not as humorous as the famous “Top 10” from the Late Night Show. If anything, OSHA’s list may keep us up late at night worrying about how to avoid the various violations. Well, you can sleep tight because you have a trusted partner in Macon Occupational Medicine who provides services to help you reduce workplace hazards. Awareness, communication and knowledge are vital first steps in addressing challenges. And, that’s where William “Bill” Fulcher, the Area Director of OSHA’s Atlanta East Office steps in. He will bring his over 25+ years of experience with OSHA to Macon for MOM’s annual “What To Expect From OSHA” seminar on Tuesday, February 19th at Central Georgia Technical College in the “H” Building Auditorium located on their main campus in Macon off Eisenhower Parkway at 11am. As always, the event is FREE to you and lunch will also be provided. Please make sure you RSVP to Jonathan Pitts (jpitts@maconoccmedicine.org) by Friday, February 15th so that we have an accurate count of those attending. 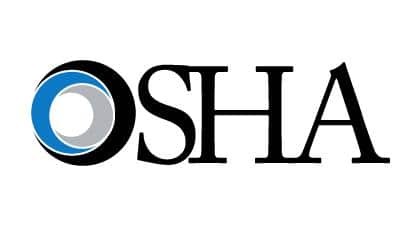 At the “What To Expect From OSHA” seminar, Mr. Fulcher will not only address the Top 10 cited standard violations from 2018, but he will highlight the “Safe+Sound Campaign,”Silica requirements, National/Regional Emphasis programs and other workplace safety hot topics as well. We believe this will be one of our best seminars yet. So, mark your calendar and make sure you put the “What To Expect From OSHA” seminar in the #1 spot of your top 10 to-do list.